This Blog is a bit different and very interesting, and we spent a lot of time researching it. That’s why must reading this blog till last , Otherwise you will miss a lot of information. “In this world, You will do the same deeds as you do, you will get the same result“ it is written in the Gita. “As you sow, so shall you reap“ that means, sowing seeds you like, you will get the same fruits, it is written in the Bible. And like this, these things have been written in the books of almost all religions. Which means a direct meaning, that you do as you would, it will be the same with you. But is these things are limited to these books only? Or do they have any significance in our lives? Every work which we do, Does it have any effect on our lives? Today, in this blog, we will try to understand this thing by the logical point of view. If you want to understand it like as, that it has said by God, So it happens Or is this God’s created justice system, means it is a way to get justice. So there is no problem in it, these are your beliefs, and we all respect it very much. But in today’s blog we will talk a little bit different from this. If you feel bad that why we are not thinking like you that it is said by God. So it is not so, we’re just writing this blog to explain it to you by logically. This is a very interesting topic, and that’s why today we are going to talk about this by scientific and practically. “Do as you like, you will get the same reward” this phrase is called law of karma. If we want, then we can also compare of it with the very famous natural law of science “Newton’s 3rd law“, which says “Every action has an equal and opposite reaction”. We did not say that these two law are the same, but we can compare both the laws. Does this “newton’s 3rd law” works only on physical things? Or does this law work on cosmic energy? 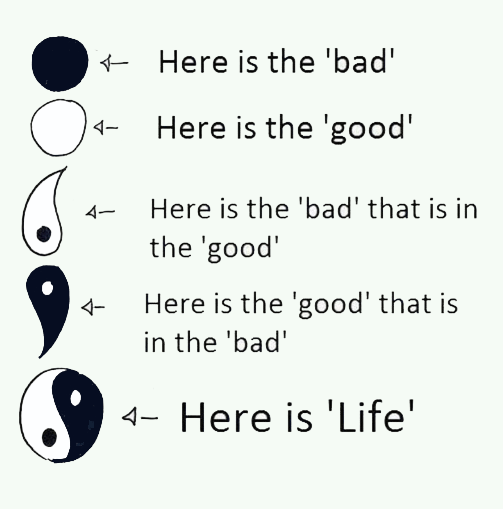 Which we also call positive and negative energy in easy language. If we come to know that it also works on cosmic energy, so we can easily say that yes Law of Karma is actually works, and we have its proof too. We just now go with assuming this, that if this happened to you, that you have helped someone and some of your paused work is done, So we consider it as a coincidence. Because this is a very deep topic And by doing this, you will probably understand the things mentioned in this blog better. 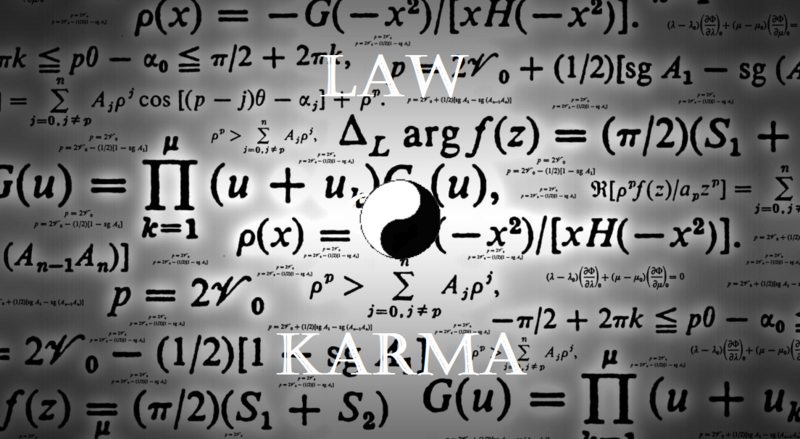 When we were doing research about it, So it took us several days to understand it well, Because, in a research paper, Law of Karma is also shown mathematically prove as well. And obviously, it is quite advanced mathematics, that everybody cannot understand. So, the information we have got from this mathematically proven and many other sources, we are trying to tell you it in simple words. At first, we try to understand karma very well. People think that karma is what people do on the physical level. Just like you saved a drowning person or pushed a person into the water, Most people think that this is karma. But in fact, pushing into what is being talked about here is a small part of karma. Whatever you do, Which speak and As you think, by the combination of these three is formed karma. Like if you are pushing someone into the water without thinking anything, So that’s not a karma because you did not have any intention to do that work. But if you want that person to die to drown in water, And by thinking of this you push him into water So this is karma. Because it also includes thoughts, and obviously, Logical and emotionally seen, it is a bad karma. Even though if that person does not die, but this is a bad karma. But If you push him with this thinking, That he will learn to swim by falling in the water, and it will be useful for him to swim further if needed. And in this process, if the person dies accidentally, even then this is a good Karma. By hearing this, please you do not try to teach anyone to swim. You do the work only when you have a motive behind doing that work, and these motives and thinking creates cosmic energy. It decides the energy around you that how will that energy be. Your karma grows up your inside vibrations, And our thinking and our intentions are controlled by these vibrations. All these cosmic energy as information are stored in an imaginary layer called Akashic Records. This imaginary layer exist all around this whole earth as an atmosphere. It stored information about our thoughts, our work, the motive behind them and our emotions. These information stores in form of the frequency and the vibrations of the particles. Groups of some people that we call Theosophist, According to them, they can encode the frequency and vibrations of particles that occur in Akashi Records. And the frequency and vibrations of whatever particles are there, match the vibrations of your heart rate, the electrical signals of the brain, and the electrons inside you. Many scientists are trying to explain this psychological phenomenon. But so far no scientific evidence has been yet reached the hand of anyone. That’s why science does not believe it to be true just now. But by experimenting on a lot of people were seen, that does their karma bring any change in their life? Means, they were kept in unannounced observation since childhood. 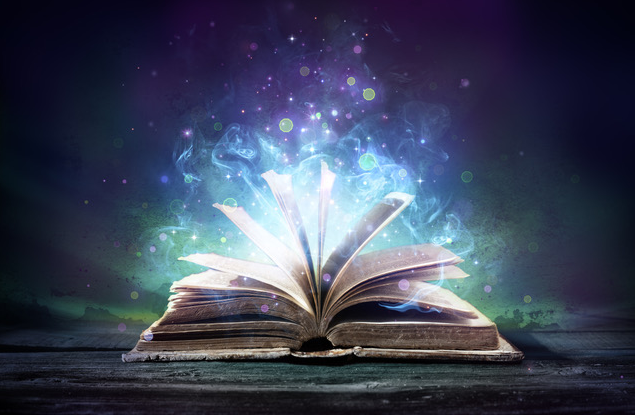 And just like the Akashic records, the physical record of their actions, emotions, and thoughts was created. It was seen when they were happy, When did they do which work and And what was their motive behind them. Now because in this experiment, too many psychologists were involved. that’s why, It was not difficult to find out the mindset of on which the experiment was going on, that is to say, it was easy to find out that what was going on in their mind. In the year 2012, the conclusion of this experiment is taken out. Whoever did some good work in his life, 80% of them were successful in their lives. And the remaining 20% did not successful, But when they were interviewed, So they told that he is living a satisfying life. Means, they have no complaints from their life. Just now everyone has surprised to see these results, that almost every person who gave happiness in his life and kept others happy, Kept your thinking positive, those people were very happy in their lives. 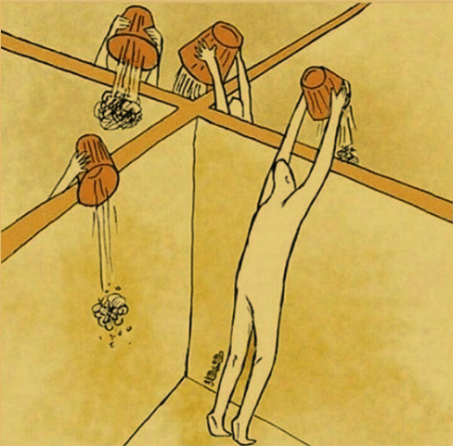 And those who tried to pull others down always and always spent life with negative thoughts, they were not happy at all in his life. We got to know by this experiment, that Even though conventional science has not understood akashic records and Law of Karma with any one theory or a definition. But in observation, we got to see that it works, and that’s why it was considered a natural and psychological law. 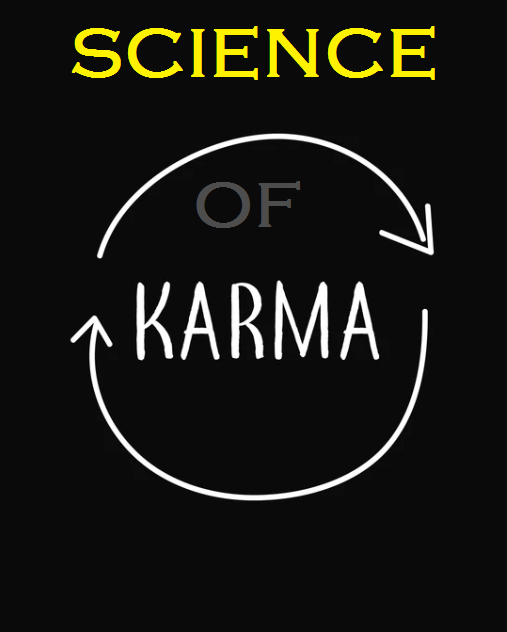 It has not been proved that “law of karma” is natural law, rather it is only believed to be as, and that’s because science is the study of law of nature. Whenever we do any karma, then we have the effect of energy around us, and changes in vibrations inside us. The results of these experiments explained by giving a theory by the psychological team. According to him, whatever work we are doing, its information is being stored in “Akashic records”. And there is a particular frequency to vibrate every particle, more than this, particles can not vibrate. Once they reach their maximum frequency, then they start transferring their energy into other particles. And they transfer energy to this way, from which the environment around you starts to change. If you do good work then the environment around you will start to happen like this, by which you will feel pleasure deep down inside. And Similarly, it is the same with bad people, Negativity spreads around it, And they always seem to be sad. By the way, scientists refused to believe this theory, But there were quite a few people as well who were in favor of this theory. Well, according to our opinion, these things are making some sense. What do you think ? Please tell about it in the comments. Most people think that the person who is successful, is happy. 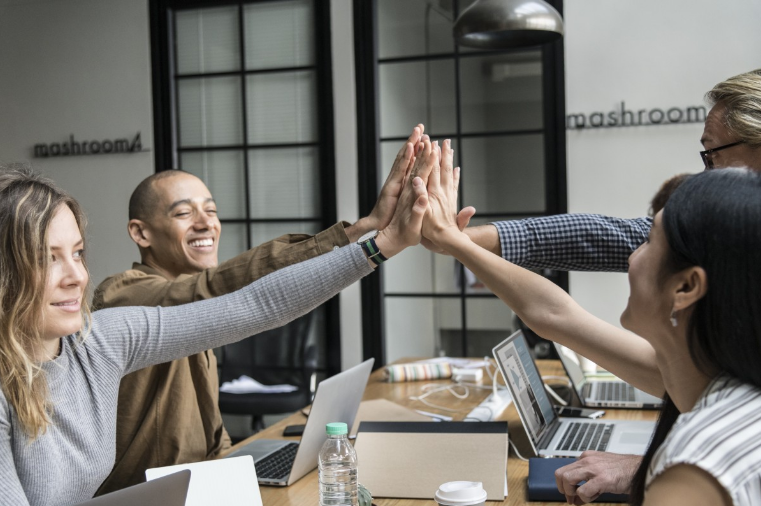 But a professor at the University of California told this by experimenting on many people, that the person who was happy, went ahead and succeeded. Happiness is the secret of your success, not you a successful, then you are happy. which we told you a theory, there have been some modifications, and it was published again in this manner. A complicated example was taken in the new theory, but we explain you with a simple example. Whatever we do, we can not get to see the direct result from anywhere, it automatically comes to us in any other form or in any other way. Just as you ate food, then for eat food which you did Karma with your hand. Means, by Breaking a piece of bread worked to bring it to the mouth, then your teeth worked to chew it, And after that food pipes, intestines, all did their job, And at last, all the organs unitedly, pick up the food from the plate and give it to the stomach. In the same way, we humans are also like that hand, that tooth, and other body organs. Whatever we do, we give it to the universe. As after digesting that food in our stomach, the energy emanating from it to comes in all parts of the body according to the need. In the same way, we give our karma unto the Universe as vibrations, and then the universe itself gives it to us according to our inside vibrations in the form of results. Means, Whatever work you are doing, good or bad, its information went to the universe or nature. Now similarly, as many as living creatures, everyone’s information goes to nature, and nature gives it to you in the form of your results according to the vibrations in you. Our today’s youth, who does not know how much lots of energy they have inside to do something. But our problem is that we begin to desire fruit even before planting seeds. Means, without giving any input in the universe, without any action, want a result or reaction from the Universe. If we do any work, then first we think about how its results will be, And with this cause of “how”, we do not do our work. We put all our time, all the energy into thinking that how we will get results. Like if someone wants to be a successful youtuber or a blogger, then he already starts thinking that the views will come or not. Or else before they start preparation of competition exam, they start watching, How much is the competition, How will we done? And they spend all their study time, in these things. So long as you will not do karma, means, so long as you will not deliver your vibrations to the universe by your work, then how will the universe change the environment around you, so that you can get what you want. For everything you have to do, forget everything that how will you get that? what will you do if you get it? All you have to do is do one thing and that is take action. If you want to become a successful blogger or Youtuber, then forget about the rest of the things, that how will the views come? How will subscribers come? Just start doing what you like. If you have to study with MIT or Stanford, then forget what will happen after becoming an Engineer, Doctor or Civil officer. You have to pick up books and make a systematic way of reading and just have to start reading. It is very easy to do anything in this world. All you have to do is do one thing and that is to take action, everything else you leave on nature. If you have a passion inside for that thing, then the vibrations inside you will definitely be transferred to nature. And if there is any truth in the theories given yet, nature will definitely give you the result of it. Before ending, we want to tell you a true story related to this. After a huge storm, an old man Was going to the side of the sea. He saw that the storm made many small pits along the sea, in which water was filled and some fish were trapped in it. He thought that as soon as the sunshine comes, that water will dry up and the fish will die in that pit. As soon as he thought, he went there and he picked up a fish and throw back in the sea. He came back, he picked up another fish and even throw it in the sea. And one by one, he started throwing the whole fish in the sea. Then there comes a young boy and says, that what are you doing this? Do you know how much such fish are here, Hey leave here, are you know how many places in the world where the storm comes, and do not know how many fish are trapped like this. Even if you want, then also you cannot do anything for them. The old man stops a while for thinks something, And again taking out a fish from the pit and leaving it in the sea, And tells the guy that I can do a lot for this fish. So try to do good karma like this. Do not do any work with the intention that if I do well I will get good. You leave that decision on nature. You have to get good vibrations inside you as much as you can. So that the vibrations of the good frequency in nature, automatically match up the frequency of vibrations inside you. You share happiness with others so that you will find happiness yourself. 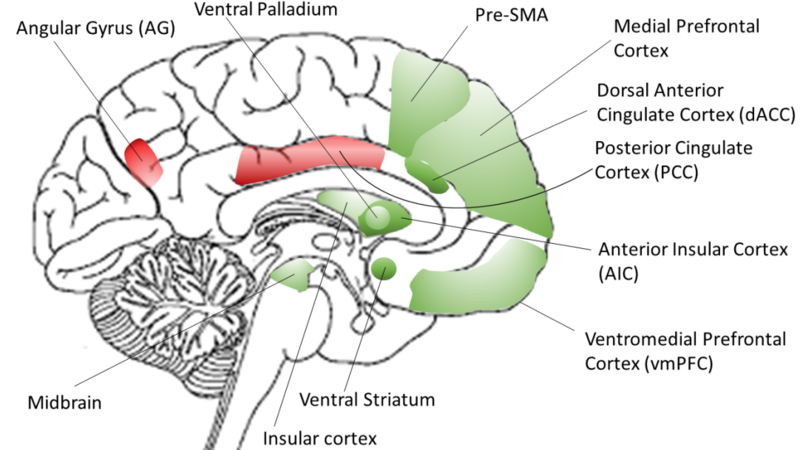 Whenever you help someone, give happiness to anyone, then Part of your brain which called Ventral Striatum becomes activated. This is the same part of your brain which is then activated When you get a reward or when someone praises you. Just think, how do you feel when someone is praising you Or when you get a gift. Sharing happiness will make you feel exactly the same. And science has even proved it, that happiness makes you successful in your life, not a successful makes you happy. We hope you have liked this blog and must have learned something new from this. 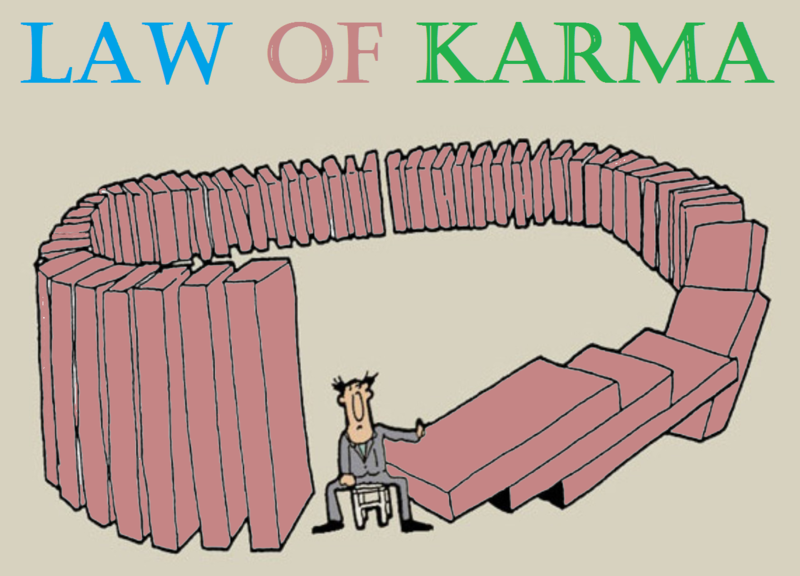 For how the “Law of Karma” works, there is no perfect proved theory right now. But experiments have shown that there is something, who has made “law of karma”, And maybe the scientists will soon find out this. Regarding what you believe, of course, tell by Commenting below. “इस दुनिया मे तुम जैसा कर्म करोगे तुम्हे वैसा ही फल मिलेगा“ ये लिखा है गीता मे, “As you sow, so shall you reap“ यानी तुम जैसा बीज बोओगे तुम्हे वैसा ही फल खाने को मिलेगा, ये लिखा है Bible मे। और ऐसे ही लगभग सभी धर्मो के ग्रन्थ मे ये बातें लिखी हुई हैं। जिनका सीदा सीदा मतलब ये निकलता है कि तुम जैसा करोगे, तुम्हारे साथ भी वैसा ही होगा। लेकिन ये बातें क्या सिर्फ इन किताबों तक ही सीमित है? या फिर इनका हमारी जिन्दगी मे कोई महत्व भी है? क्या हर वो काम जो हम करते हैं उसका हमारी जिंदगी पर कोई असर पढता है?